Just across the Tennessee/Georgia border is Fort Oglethorpe, a small town just five minutes from Chattanooga that is filled with established neighborhoods, history, and rich Southern culture. It's both a refreshing retreat from the comparatively cosmopolitan feel of Chattanooga and an ideal spot for modern homes and creature comforts. Small historic bungalows, antique farm houses, and expansive new construction on acres of land are all part of Fort Oglethorpe, providing an interesting contrast of old and new. The town's history goes back to the Civil War. 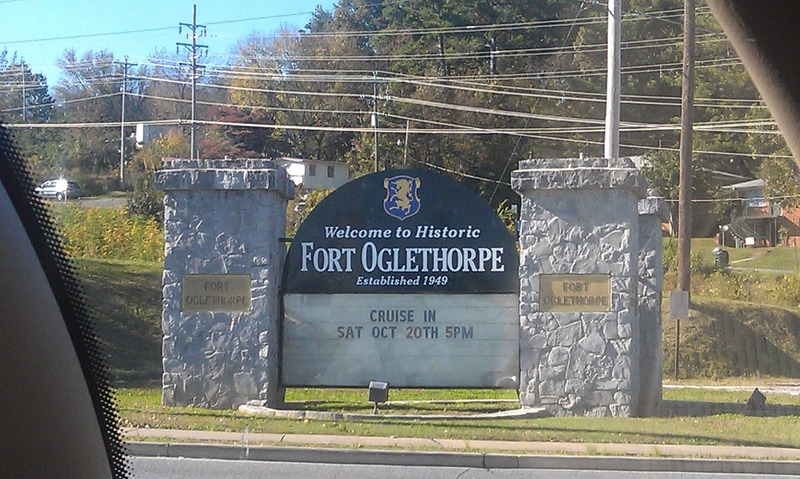 Fort Oglethorpe's name is very literal, and tightly linked to the town's proximity to the famous Chickamauga Battlefield. One of the Civil War's bloodiest sites, today it is a beautiful nature park with miles of trails for biking, walking, and even horse back riding winding through woods and meadows. There are also regular reenactment events and a fair number of ghost hunters who come through in search of Old Green Eyes, a local legend who even inspired Wings to the Kingdom, a supernatural novel by local author Cherie Priest. 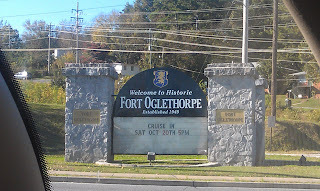 Fort Oglethorpe was disbanded as an official military outpost and was incorporated as a civilian town in 1949. In 1977 many of its buildings were added to the National Historic Register. Today it is home to many Chattanooga employees and those who work throughout North Georgia. Although its local economy was long depressed, it has seen quite the revival in the past several years. A huge boon was the arrival of a Costco, a large membership-only big box chain similar in concept to to Sams Club which brought many jobs to the area and given a major boost to the area's economy. Stores like Trader Joes and Costco which sell wine have long avoided counties of Tennessee that still have blue laws that restrict alcohol sales. Opening a Costco just across the border from Chattanooga allowed the business and residents alike to get around these laws, all while avoiding Tennessee's sales tax. Fort Oglethorpe is also home to the famous Sears Shoe Store, which has been selling top-quality shoes and unusual sizes since 1967, and Beverage World, which is the Chattanooga area's number one resource for beer aficionados. Fort Oglethorpe is quiet, without the large populations of young people who live in many of Chattanooga's other surrounding communities like Red Bank, Hixson, and even Cleveland. Instead, it's mostly work-force aged employees and a smattering of young families, as well as a good number of seniors. The density is low, so this is a great place to buy land and enjoy a little privacy, a larger home, or residential amenities like keeping horses or building a pool. Close to Chattanooga, these benefits come along with proximity to all of Chattanooga's great restaurants, nightlife, and cultural events. Best of all, land prices are lower than in other areas surrounding Chattanooga, making it a terrific spot to take advantage of the South's already low cost of living. If you are looking for a place where you can spread out and enjoy the quiet life, without missing out on all that a mid-size city has to offer, Fort Oglethorpe may be the place for you!